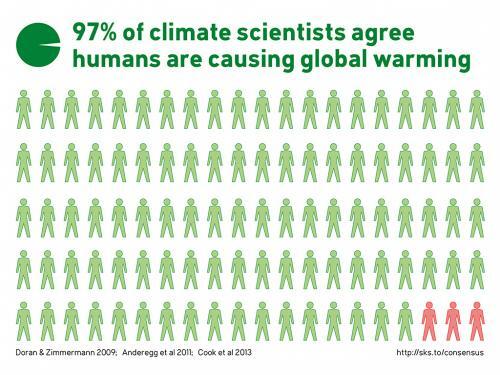 Illustration of the scientific consensus that 97 out of 100 actively publishing climate scientists agree with the overwhelming evidence that humans are causing global warming. The reason there is a consensus of scientists is that there is a consensus of evidence. Also see the rebuttal to the myth that there is no scientific consensus.